The NEX-FS700P is an NXCAM camcorder with a superior Super35mm CMOS sensor, super slow-motion capability and an interchangeable E-mount lens system, offering unrivalled flexibility and creative expression. Based on customer feedback, the NEX-FS700P includes a number of features providing familiar professional operation and workflows, including 50/60Hz switchability, built-in ND filters, 3G-SDI interface and an enhanced exterior design. The NEX-FS700P camcorder uses a new 4K “Exmor” Super 35 CMOS sensor (total 11.6 million pixels). This high-speed readout chip is optimised for motion picture shooting, giving high sensitivity, low noise and minimal aliasing. A future firmware upgrade will enable the NEX-FS700P to output 4K RAW bit-stream data over 3G HD-SDI when used with an optional external 4K recorder. The NEX-FS700P features built-in, ultra-thin ND filters, offering exceptional shallow depth-of-field on highlights. It also means less accessories to manage as no external ND filters are required. 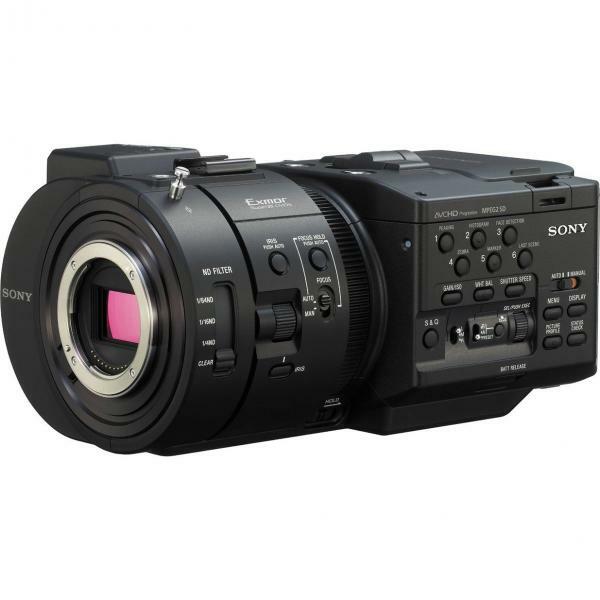 The NEX-FS700P has a refined ergonomic design with a robust detachable handle and grip. The NEX-FS700P is switchable between 50 Hz and 60Hz to allow 24p shooting in PAL areas and no PAL/NTSC limitations.